This product adds a new dimension to the Star Wars Roleplaying Game and gives Gamemasters an easy-to-use and inexpensive way to include great-looking terrain in their games. This set provides ready-to-use, configurable terrain tiles of various shapes. 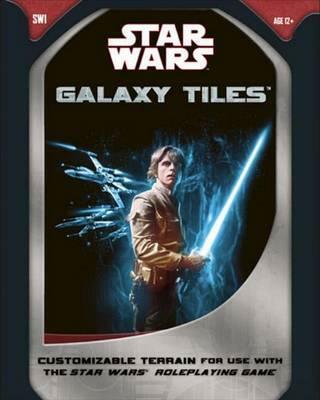 Use the tiles to build your own Imperial bases, Rebel redoubts, and fringe outposts! This terrain accessory contains six double-sided sheets of illustrated, die-cut terrain tiles printed on heavy cardstock.